Carcinomas of the Fallopian tube are a rare form of gynecological cancers responsible for approximately 1.8% of female genital cancer. The incidence of fallopian tube carcinomas is 3.6 per one million in the United States. 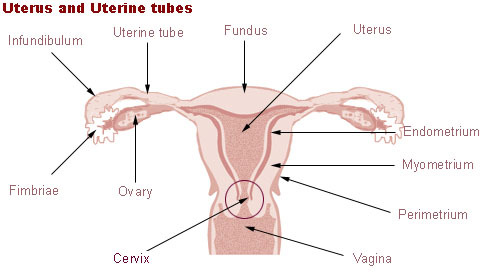 Fallopian tube carcinoma is of epithelial type and is identical to epithelial ovarian cancers. This histopathological overlap explains why many patients with primary fallopian tube carcinoma are misdiagnosed with ovarian cancer with extension to the fallopian tubes. The exact etiology of fallopian tube cancers is unknown but several risk factors have been identified that could lead to an increased risk of developing this form of cancer. Because fallopian tube cancers are of epithelial origin, the same risk factors for epithelial ovarian cancer also play a role in predisposing the patient to primary fallopian tube cancer. Nulliparity and history of early menarche might put the patient at an increased risk of primary fallopian tube tumors while multiparity and the use of combined oral contraceptive pills lower the risk of epithelial ovarian cancer and fallopian tube carcinoma. In contrast to other forms of cancer, fallopian tube carcinoma is not related to age or smoking. Additionally, endometriosis, which is known to increase the risk of ovarian cancer was not found to be related to fallopian tube carcinoma. Similar to epithelial ovarian carcinoma, fallopian tube cancer is more commonly found in patients with BRCA1 and 2 mutations. The exact pathological mechanism for fallopian tube carcinoma is not fully understood. Regardless, high estrogen states and certain genetic mutations are known to be associated with a higher risk of fallopian tube carcinoma. BRCA1 and 2 mutations result in abnormal chromosomal configurations leading to cancerous transformation. These abnormal chromosomal changes are similar in all forms of epithelial cancer of the ovaries, breast and fallopian tubes. Because of this close relationship between BRCA mutations and fallopian tube tumors, any patient with a BRCA mutation who is undergoing a prophylactic hysterectomy should also have total removal of the fallopian tubes and ovaries. 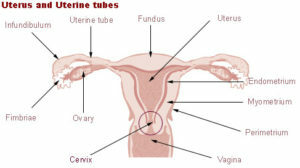 The typical patient with fallopian tube cancer is a 55-year-old woman who has large quantities of serosanguinous vaginal discharge, lower abdominal pain, and an abdominal mass. This typical picture is unfortunately only evident in 15% of the cases and the remainder of the patients usually have a less specific presentation. On physical examination, applying pressure to the abdominal mass may result in the release of more vaginal discharge which could be bloody. This finding is pathognomonic of fallopian tube cancer. Fortunately, fallopian tube cancer is usually diagnosed at an early stage due to the rapid development of pain because of fallopian tube obstruction. Ascites can develop in patients with fallopian tube carcinoma. 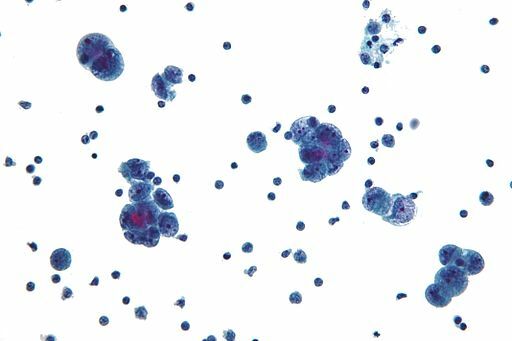 Cytological examination of the vaginal discharge and pap smears are not very useful in the diagnosis of fallopian tube carcinoma. While up to 20% of the cases have an abnormal pap smear, this finding is not specific for fallopian tube carcinoma and merely indicates possible gynecological malignancy. 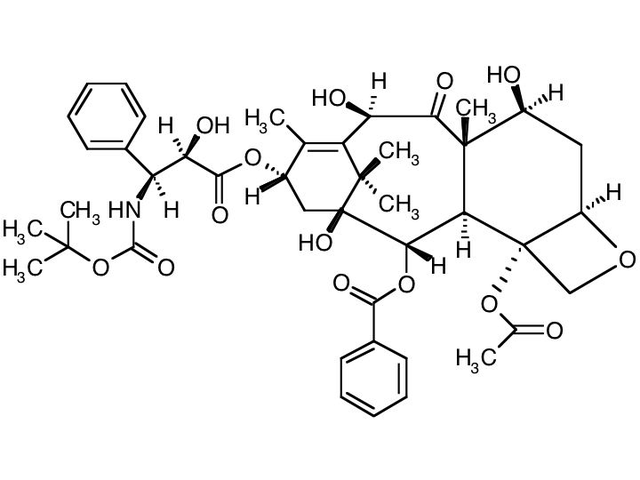 Cancer antigen 125 (CA-125) is very useful in the evaluation of the patient. It helps in confirming the diagnosis of fallopian tube carcinoma because it is usually elevated in epithelial carcinoma. It will not be able to differentiate between epithelial ovarian cancer and fallopian tube cancer and it may be elevated in a variety of benign conditions. However, in patients with proven fallopian tube cancer, an elevated CA-125 is very useful for monitoring the patient during treatment and to detect recurrence. In any patient with typical symptoms of a possible pelvic malignancy (abdominal distension, vaginal discharge, and abdominal pain) and elevated CA-125 a transvaginal ultrasonography is indicated. Transvaginal ultrasonography is excellent in the evaluation of the pelvic organs and to exclude possible tubal pathology. Usually, transvaginal ultrasonography reveals a multicystic mass that has multiple nodules and solid components. Unfortunately, this is sometimes confused with an ovarian tumor. Fallopian tumors are highly vascularized and Doppler studies are useful in this regard. Pelvic and abdominal computerized tomography (CT) and magnetic resonance imaging (MRI) are helpful in confirming the diagnosis of a fallopian tube mass and in staging the disease. Usually, at some point during the evaluation of the patient with a fallopian tube tumor, a biopsy is indicated, usually via a fine needle aspiration. Pathological examination reveals serous, endometrioid or a mixed pathohistological pattern in most cases. In fewer cases, the tumor type is an undifferentiated, transitional or clear cell. P53 alterations are common in fallopian tube cancer. Staging of primary fallopian tube carcinoma is the same as for epithelial ovarian cancer. Stage I disease indicates cancer that is limited to the ovaries and can be unilateral or bilateral. Stage II disease means cancer that has spread to other pelvic organs. In stage III, the peritoneum is involved. Finally, stage IV indicates distant metastasis. Fortunately, the majority of the cases of fallopian tube cancer are diagnosed at stage I and II and patients with advanced disease are usually in stage III. Patients with stage I and II disease should undergo surgical treatment. Even for patients with advanced disease, surgical removal of the tumor and any involved structures is proven to affect survival. Patients with advanced disease might benefit from neoadjuvant chemotherapy before debulking surgery. Additionally, fallopian tube carcinoma is very likely to spread through the lymphatic system and pelvic and para-aortic lymphadenectomy is indicated. When lymphadenectomy is performed, the median survival is estimated to be about 43 months. Patients who wish to preserve fertility might benefit from conservative surgery and with selective tumor debulking only if the tumor is well differentiated and at stage I.
Radiotherapy is no longer recommended in the management of fallopian tube carcinoma except for recurrent disease. Patients with stage I disease whose tumors are well confined to the ovaries should not receive chemotherapy. Other patients with invasion of the serosa or the pelvic structures even in early disease might benefit from adjuvant chemotherapy that is platinum-based. Combination chemotherapy is always superior to single drug chemotherapy in the management of fallopian tube carcinoma. Patients with the advanced disease usually need adjuvant cisplatin-based chemotherapy that could be followed by a taxane such as docetaxel. Taxanes stabilize GDP-bound tubulin in the microtubule, thereby inhibiting the process of cell division as depolymerization is prevented. Additionally, patients with stage III and IV disease are possible candidates for paclitaxel, another taxane chemotherapeutic for epithelial gynecological carcinoma. 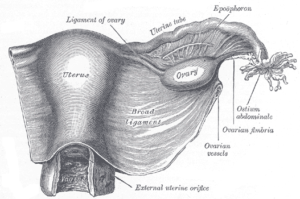 Second-look laparotomy is useful in the management of patients with fallopian tube cancer. Several authors have recommended its routine use in fallopian tube carcinoma as a guide to further treatment. The goal of second-look laparotomy in primary fallopian tube carcinoma is to detect any residual disease or recurrence, especially peritoneal implants, as finding none at second-look laparotomy has a good prognostic significance.